Gov. Bruce met this weekend with District Conference speaker Ina Pinkney, who is speaking at the Paul Harris Luncheon on Friday, April 29, and he quickly came to the realization that this will be a “don’t miss” session for all Rotarians. 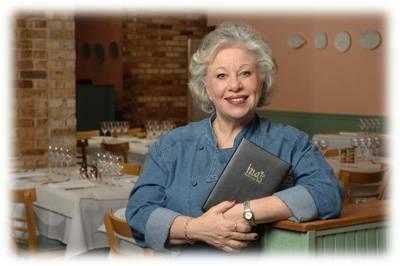 Ina, a celebrity chef who owns and operates Ina’s Kitchen in Chicago’s trendy West Loop Market District, is a polio survivor who dramatically portrays the long-term effects of polio…effects that are just now becoming apparent to thousands of Americans who contracted polio in the 1940s. Articles about Ina have appeared in the New York Times, the Wall Street Journal, and several local papers and magazines, and she has lectured on entrepreneurship at Northwestern, DePaul, and the University of Illinois. She has also appeared frequently on local television.